Pa Trail Races - have you ever run one? Rocky, steep, beautiful. The scene has exploded in the last decade, and in recent years it seems like there is a new event to consider every season. In 2012 the Green Monster 25k, in 2013 the Green Monster 50k. Then in 2014 the Call of the Wilds Mountain Marathon and Eastern States 100. 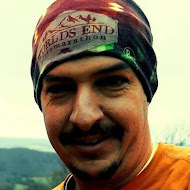 For 2015 we had the Chief Wetona Challenge Half Marathon, and now the World's End Ultramarathon 50k/100k. Worlds End State Park, the Loyalsock Trail and its many "tributary trails" are a hidden gem in North Central Pennsylvania. The area holds a special place in my heart. I grew up nearby and spent countless hours fishing and playing in the Loyalsock Creek. To this day my mother still relates to me the story when, as a small child, she and my father climbed one of the muddy park trails with me in a back pack. Needless to say, the Worlds End area was just begging to be raced. This year it became a reality, as in late 2014 it was announced that a 100k would be help. 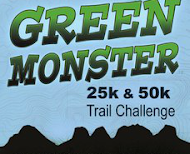 Months later, by popular demand, a 50k race (which fit nicely into my plans) was added. Back at the end of March I sprained my ankle during the Mile Run Trail Challenge Half Marathon. It took 3 weeks to heal, and immediately after I jumped into the Hyner View Trail Challenge 25k in mid April. Near the end of the Hyner 25k my opposite ankle started to give me some trouble. I did my best to strengthen it and in May went on a racing binge. Seven 5k's, 10k's and the Chief Wetona Challenge Half Marathon on my way to the World's End Ultramarathon 50k on May 30th. Considering myself somewhat under trained without much of an early season long run under my belt because of the heavy racing schedule, I nevertheless went into Worlds End feeling relatively fit an confident. 50k is nothing to scoff at, but I have enough experience to know that what I can drag my body through if need be. I'd also tried to keep in mind that my real goal was to "race myself into shape," in route to the Pine Creek Challenge 100 miler in September. For me Worlds End was a means, and not the end goal. Race morning was a 4:00 a.m. wake up call and a 5:00 a.m. departure. I picked up my passenger for the day, fellow VRC member Curtis Spencer for the easy hour drive south. The forecast was for a hot, muggy day with a chance of rain and t-storms. Unfortunately the weatherman gets it right from time to time. Even at 5:00 a.m. it was balmy. We arrived with an hour to spare. If you've never been to Worlds End, the main park is situated in a narrow valley next to the Loyalsock Creek between deep, rocky canyon walls. If you enter the part from the Forksville Pa side you'll see a historic covered bridge on your right, and the Sullivan County Fair Grounds on your left. The road follows to the left side of the creek. Eventually you come to a bridge, a swimming / beach area on your right and the main park area on your left. The park has undergone many improvements in the last decade, with an upgraded park store, bathroom facilities, office. Camping options include cabin rentals, as well as tent and RV spots. Race HQ was situated near the park office / visitor's center. When you see a big read PaRunners.Com / Integrity Sports finishing arch something just clicks - its race time. We checked in, stowed our swag in my truck, readied our gear, used the restrooms, mingled at the start/finish while we awaited the pre-race briefing and starting gun. The 100k runners, who started at 5:00AM, were well into their day of self inflected "funishment." Ours began promptly at 7:00AM. The course begins with an (uneeded) stretch of park road to allow the field to stretch out. This brief road section will no doubt be a vital part of the course in the future, but with fewer than 80 signed up for the inaugural running its a moot point. Near a campground the asphalt hooks left onto dirt road before entering the single track on the rocky Butter Nut trail climb. I immediately fell in with several fellow VRC members (including eventually 2nd place female Tabby Dunn) for a thought provoking discussion about Game of Thrones and The X-Files. I felt like I was taking it very easy in these early miles, but was nonetheless alarmed to find myself pulling ahead of my friends. Was I going too fast? At the bottom of the hill we hit the first aid station, which i blew through, and then began the "High Rock Trail Climb," an approximately 800 foot boulder climb that I am quite familiar with. Although I've seen it a hundred times, I took a moment to check out the view back down to the start/finish before continuing the gradual climb on up the LT (Loyalsock Trail) to Loyalsock Road. The next section of the course is quite runnable, several miles of classic single track along the LT toward Sones Pond, and then the downhill to pick up the Link Trail near the old Iron Bridge. Tabby Dunn and Josh Sitas caught me and we cruised the downhill together until my stomach started to turn on me on the stretch of Link Trail winding along side the Loyalsock Creek. It was here that I let them go and began to dry heave. As if you haven't figured it out already, yeah I sprained my ankle. The right one this time. I limped my way through the next couple of miles of the course to get back to civilization, before thumbing a ride to race HQ to drop. Its been 10 days now since the race and I haven't run a step, although the healing process has gone well and I look forward to testing the ankle out very soon. Next on the agenda is to rethink the rest of my summer racing and training plans - with the goal of getting to the Pine Creek 100 Miler healthy in Mid September.